Do you want to start an online shop? No problem! For this you don’t even need to hire professionals. Concentrate your efforts, and make a website yourself. For this you’ll only need a CMS, or a Content Management System. One of the most popular CMSs is WordPress, so in this article we’d like to pay special attention to creating an eCommerce website with this platform. So, why is WordPress so popular? The answer is simple — it’s easy to install and use. You just download special software, and install it on your hosting. Then, you can try several interesting wordpress themes, and choose the option that fits your needs best. Though this platform was originally developed for blogs, now you can find a lot of eCommerce themes for WordPress. Finally, when you choose a theme, you will have to create the site itself. And this is where your possibilities are limited only by your imagination. Indeed, WordPress offers you a lot of tools. You just need to choose the options you need, and assemble them into a whole system. Accept the challenge, and you’ll see how easy this process is! As we’ve already stated above, WordPress can now offer you a lot of themes created specially for eCommerce sites. These themes provide you with everything necessary for an online shop: shopping carts, numerous payment methods, discount options, and a lot more. All-in-all, you only need to choose the theme you like, and all tools needed for your project will be available instantly. 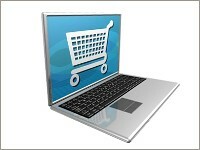 Note that eCommerce websites have quite a complicated structure. This means that sometimes you will need professional assistance. Just ask some web master to help you with the site. However, if your skills are good enough, you can just use your WordPress as a constructor, and make up everything yourself. All of these themes have a great choice of instruments and modules. Also, they were all created for online shops, so you’ll get perfect functioning wrapped in great design. Please, note that most eCommerce themes for WordPress are paid. However, the price is usually quite affordable, so it won’t hit your budget too much. 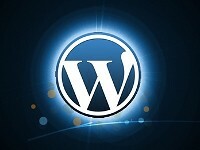 Also, you should know about responsive WordPress themes. These themes adjust screen dimensions depending on the type of device used for browsing. So, if you know that many of your clients are mobile users, pay attention to responsive WordPress eCommerce themes. How to Install and Manage WordPress Themes? So, if you have chosen a certain theme for your online shop, proceed to its installation. There are several ways to do it. However, the fastest and easiest method is to use WordPress Admin page. Just go to your Dashboard, choose Appearance -> Themes, and find the theme you like. Finally, press the “Install” button, and process the payment if it’s necessary. If the theme is free, just wait for it to download, and start creating your personal eCommerce website!